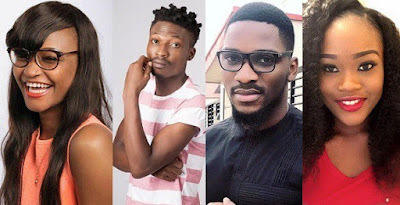 #BBNaija: “I Never Manipulated Efe The Way Cee-C Does Tobi” – Marvis Speaks On Tobi & Cee-C`s Drama. One can’t easily be unaware of the drama going on between Bbnaija housemates, Tobi & Cee-C after the latter has repeatedly been curving advances made by Tobi in the house. There have been many reactions to this by fans – particularly, Yoruba Demons, who are rather disappointed in Tobi who apparently isn’t portraying the attributes of a Yoruba Demon… they’re even at the verge of disowning him.